This review assesses the performance of Slovenia, including looking at how Slovenia might increase the impact of its aid through a tighter thematic focus and geographic footprint, a stronger focus on results and better mainstreaming of gender and environment across its development co-operation. 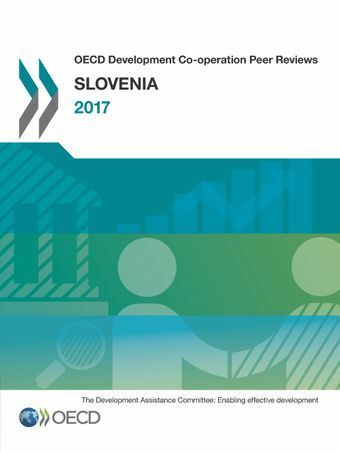 Slovenia has built up a sound development programme over the last 12 years, particularly in the Western Balkans, and should now work on tightening its focus in other regions in order to get the most impact from its aid contributions, according to a new OECD report. The first DAC Peer Review of Slovenia welcomes a steady rise in Slovenia’s foreign aid budget in the last few years, although it notes that an increase in funds spent on hosting foreign refugees arriving in Slovenia has been a factor pushing up official development assistance (ODA) levels. In-donor refugee costs made up 11.2% of Slovenia’s ODA in 2015.